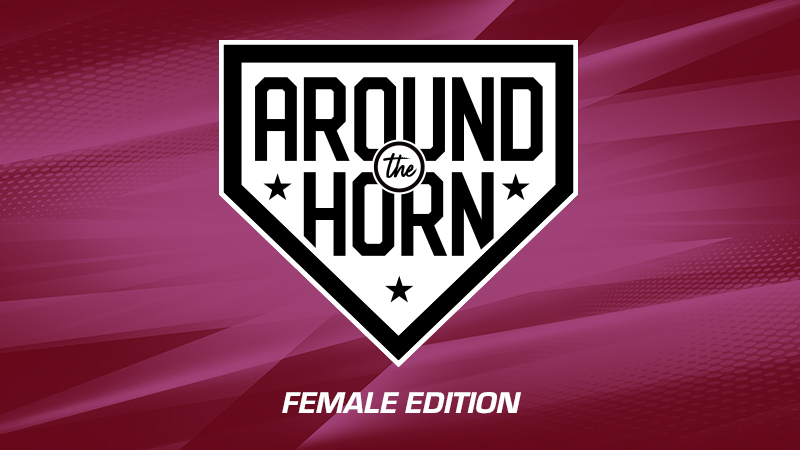 Welcome to the second article in Baseball Queensland’s new series, ‘Around the Horn’. The aim of this series is to bring our state organisation closer to the people and communities that connect us all together: our clubs. Our Greater Brisbane League is finally here and with a new season comes new teams and plenty of new female players. Two particular clubs in the GBL are leaving their mark on the world of baseball in a fresh and innovative way. Western Districts Bulldogs Baseball Club and Carina Leagues Red Sox Baseball Club are paving the way for women this season by including all female teams in their club. Wests have joined forces with 16 of the brightest 14-year-old players and the Red Sox have formed a powerful Division 4 women’s team to compete alongside the men in the rest of their league. Head Coach, Brad Schneider and Assistant Coach, John Pickford spoke with me at their Tuesday night training session to talk through the birth of West’s inaugural U14’s girl’s team, as well as the core values and morals they are both installing into the young athletes at Wests. What is your background with baseball at Wests? How did this team come about? Do you have any particular goals for your team this season? Brad:We are going for little milestones at a time. A win isn’t even on my radar at the moment. We are going to reach a new milestone each week and move up from there. A lot of our team hasn’t played the game before so us coaches haven’t set unrealistic goals; we are expecting them to have fun and to bond as a team. There is a big growth for baseball in the country right now, so hopefully other girls can see this team and then join their local club and play too! How do you think the team will go once they are up against the boys in the GBL? Brad, as someone who has been part of Wests for so long, what are some of the club’s biggest values? Tuesday trainings for West’s U14’s team is anything but boring, players and coaches were all sporting bright pink playing shirts, with music pumping through the air, it was definitely a welcoming environment for new and existing players to learn the great sport of baseball in. It’s safe to say that the boys better keep an out on this group of girls because something tells me they could be the team to beat! Brisbane Bandits Assistant Coach & current Carina Red Sox Division 4 Head Coach, Lisa Norrie took time out of her training session with the women’s team on Wednesday to talk all things development as well as future goals for women’s baseball in Queensland. When did the idea come to you about creating a women’s team for the Division 4 strand? What are Queensland’s chances of a women’s league coming to fruition? Why did you decide to include them in Division 4? What sets Carina Red Sox apart from other clubs in QLD? The Divison 4 team is full of powerful players, both new and existing and through the guidance of Lisa Norrie and Mel Hill, they will, without a doubt, leave their mark on the history of women’s baseball in Queensland. If you are in the catchment for the Western Districts Bulldogs Baseball Club or Carina Leagues Red Sox Baseball Club, then head down to support them this season; club fixtures will be circulated on team’s social media pages. If you are part of a baseball club in Queensland and have a story to share, we would love to hear from you; just email Liv at liv@baseballqueensland.com.au to get your story heard! Players, coaches, umpires, families and fans are all encouraged to get in contact!